Professor Unno's interests lie in Medieval Japanese Buddhism, specifically in the relation between intellectual history and social practices. He also researches and has published in the areas of modern Japanese religious thought, comparative religion, and Buddhism and psychotherpay. He is the author of Shingon Refractions: Myoe and the Mantra of Light, an study and translation of the medieval Japanese ritual practice of the Mantra of Light. He is also the translator of Hayao Kawai, The Buddhist Priest Myoe-A Life of Dreams (Lapis Press, 1992) and author of over a dozen articles in English and Japanese including: "Questions in the Making - A Review Essay on Zen Buddhist Ethics in the Context of Buddhist and Comparative Ethics," Journal of Religious Ethics (Fall 1999); "Myoe Koben and the Komyo Shingon dosha kanjinki: The Ritual of Sand and the Mantra of Light," study and translation, in Re-visioning "Kamakura" Buddhism, edited by Richard Payne (Honolulu: University of Hawaii Press, 1998); and "Divine Madness-Exploring the Boundaries of Modern Japanese Religion," Zen Buddhism Today 10. 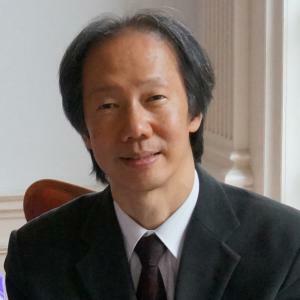 Member, Executive Board, Society for Buddhist-Christian Studies; Editorial Board, Journal of Religious Ethics; former Executive Board member, ASIANetwork. Member, Association for Asian Studies, American Academy of Religion, Society for Asian and Comparative Philosophy, International Association of Shin Buddhist Studies.